A brief history of the department : “Pre-school education and technology” was founded in 2016. The department on the decision of the Academic Council of the ZhASU dated March 27, 2017, on the basis of the order No. 100, was renamed “Preschool and technological education”. Currently, there are four specialties in the department. 050704 Pre-school education, was founded in 2014, 050720 Physical education, was founded in 2010, 050502 Technology, was founded in 2015, 050303 Foreign language (English, Chinese) was founded in 2018. Mission Branch – Providing high quality training of specialists in demand in society who are able to actively influence the socio-economic development of the country, meet the needs of the labor market and meet the requirements of employers. Features of the department: our department is a workshop where students every day with interest discover something new and exciting, useful and unforgettable, where experienced teachers work, we will help students to develop such qualities as self-confidence, diligence , professional perseverance, will help reveal the multifaceted creative and professional potential. Number of students in the department. The total number of students is 281, of which 97 are enrolled in “Pre-school education”, 105 are trained in “Physical culture”, and 105 are “Foreign Language”. 12 Kasymova Nuripa UDN them. A. Batyrova 2006. Teacher of a foreign language and literature Practical grammar, Introduction to the specialty. Information about the methodical and sectional – subject works. Center of creativity of preschool education. In the “Preschool and Technological Education” department, 23 teaching materials were developed. Each teacher has a syllabus. The classrooms where classes are held are equipped with modern technologies. Used in class tables, CDs, video films. Objectives (mission) of the educational program: Preparation of qualified specialists of the appropriate level and qualification, competitive in the labor market, competent, responsible, morally educated, fluent in their profession and oriented in related fields of activity, capable of working effectively at the level of world standards, ready to continuous professional growth, social and professional mobility. Requirement to the applicant: Admission to an educational institution is organized in accordance with the legislation in the field of secondary vocational education, in accordance with the rules of admission to the college annually developed and approved by the Ministry of Education and Science of the Kyrgyz Republic. Characteristics of the graduate’s professional activity: area, objects and types of professional activity. The graduate must be prepared for professional activity in physical culture as a teacher of physical culture in educational institutions. Graduate Qualifications: Physical Education Teacher. 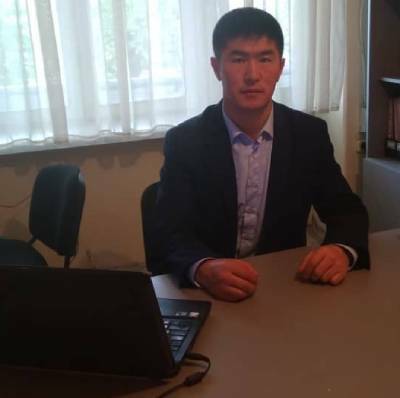 College graduates can continue their studies in higher educational institutions of the Kyrgyz Republic and in neighboring countries in relevant specialties in the field of higher education. Goal 1: In the field of education, the purpose of the SPE SPE in the specialty 050704 Pre-school education is: Training in the field of basic humanitarian, social, economic, mathematical and natural science knowledge; specialized competencies that contribute to its social mobility and sustainability in the labor market. Goal 2: In the field of personal education, the goal of the OPPO SPO in the specialty 050704 Pre-school education is: the formation of students’ social and personal qualities: dedication, organization, diligence, responsibility, citizenship, communication, tolerance, increasing the general culture. Goal 3: In the field of professional activity of graduates of the specialty 050704 Pre-school education, the goal is to work on the comprehensive development and upbringing of children of preschool age and to prepare them for school.The objects of professional activity of graduates are: children of preschool age. Types of professional activity of graduates – educational and educational, educational and methodical, social and educational activities. Specific types of professional activity for which the graduate is preparing should determine the content of his educational program, developed by the HSE in conjunction with interested employers (in particular, with the heads of pre-school institutions). Result of training 10: conducts explanatory pedagogical work with parents; interacts with other employees of the preschool institution involved in the educational process (music director, defectologist, psychologist, medical worker) and parents; possesses skills in the field of those activities that the teacher teaches preschoolers; uses technical equipment and computer equipment; owns the skills of self-education and self-education. The peculiarity of the educational program in the specialty 050704 Pre-school education. The educational program of preschool education is a tool for the implementation of the mission of JAC. The educational program of pre-school education prepares specialists who are ready for the full-fledged professional realization of a future specialist who has competitive skills in the field of pre-school education. The work of an educator is common and in demand, therefore the educational program of pre-school education is in demand from other programs of the university. And she will remain so in the future as she is not threatened with automation and reduction, because only very responsive people who are willing to empathize and give warmth to their pupils can educate and train children.